EPA is seeking public comment on a proposed revision of the current PAG Manual: The update, titled “PAG Manual: Protective Action Guides and Planning Guidance for Radiological Incidents,” includes new science, expands the document relevancy to more than just nuclear power plants and incorporates recent guidance on re-entry, cleanup and waste disposal. 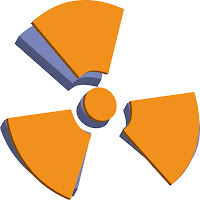 In the event of a radiological emergency, responders can instruct the public to take protective actions such as staying indoors to prevent exposure to unhealthy amounts of radiation. EPA developed a manual of Protective Action Guides to help responders plan for radiation emergencies. Protective Action Guides (PAGs) suggest precautions that state and local authorities can take during an emergency to keep people from receiving an amount of radiation that might be dangerous to their health. EPA developed the PAG Manual to provide guidance on actions to protect the public, such as having people evacuate an area or stay indoors.